Volvo has high expectations with the new V40, their new small car which replaces the C30. The Swedish brand has plenty of reasons to be optimistic. They have set the 'bar' high and I believe the new car deserves a resounding call of 'mission accomplished'. 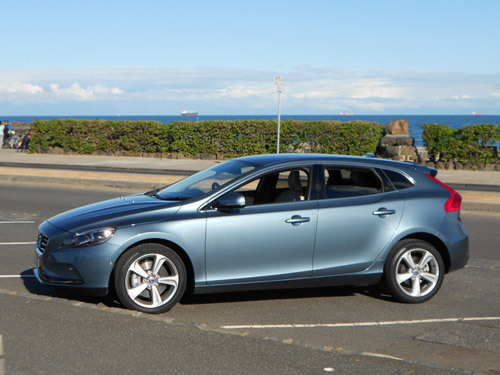 Coloured Biarritz Blue, featuring an attractive Blonde and Charcoal trim, the test car was the well equipped Volvo V40 T4 Luxury. As the name suggests, this model sits above the entry level model. The base price* for the test car was $45,990*, plus options. An option fitted to the test car was the Driver Support Pack (includes Blind Spot Information System (BLIS) and Cross Traffic Alert, Driver Alert System (Road Sign Information, Active High Beam and Lane Keeping Aid), Adaptive Cruise Control with Collision Warning and Full Autobrake, and Park Assist Pilot; heated front seats; sliding front armrest; tinted rear glass; and metallic paint. This option is priced at $5,000*. This made the total price* of $50,990* for our drive car (excluding the traditional on-road costs). 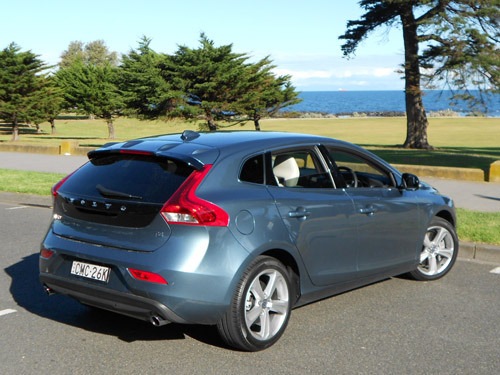 Available as a hatchback only at the present time, the Volvo V40 comes in Kinetic, Luxury and R-Design trim levels. 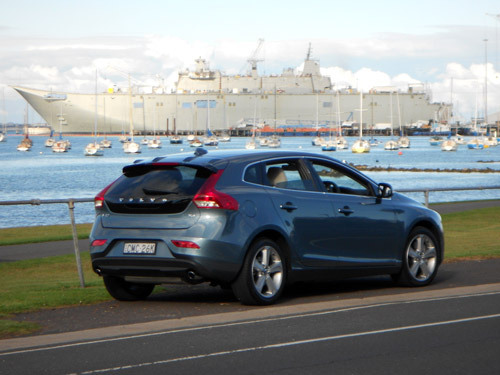 The starting price* for the entry level V40, the T2 Kinetic with manual transmission, is a value-conscious $34,990*. A V40 Kinetic is available in D4 manual guise for $39,990*. The D4 is available with automatic transmission in Kinetic for $41,990* and in the Luxury level from $45,990*. T4 automatic is priced the same as the two D4 autos ($41,990* and $45,990*). 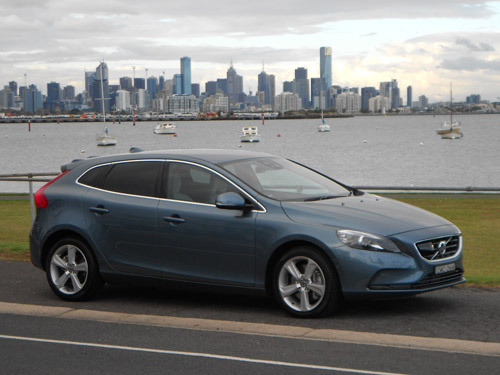 Top of the line V40 T5 R Design (automatic) is priced from $49,990*. To explain the T2, D4, T4 and T5 coding is simple enough. T2 is the base model with a 1,560cc 4-cylinder diesel engine, whilst D4 is a 1,984cc 5-cylinder diesel and T4 is a 1,984cc 5-cylinder petrol engine. The T5 is for the top-of-the-line V40 R Design, which is a 2,497cc 5-cylinder petrol engine. All engine variants feature turbocharging and "stop/start" engine technology. The test car's 2.0 litre turbocharged petrol-fuelled five-cylinder engine provides 132kW of power (at 5,000 rpm) and 300Nm of torque (at 2,700-4,000 rpm). The automatic transmission is an six-speed unit. The front-wheel drive V40 T4 gets along quite nicely. The five-cylinder engine accounts for itself quite nicely. The car is smooth and quiet, which is something I appreciate. 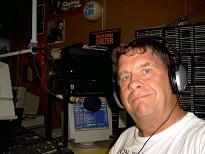 The driving dynamics are all well in tune with the requirements of a small luxury car. In fact, Volvo has responded quite well to their German competitors. 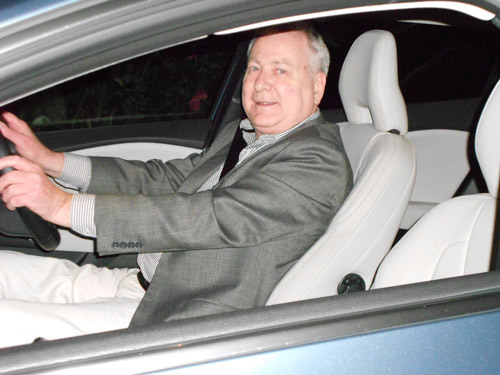 Comfort for the occupants is quite good and as the driver, I must say that I was, in fact, impressed with each drive. The little Volvo V40 T4 delivers a 0-100 km/h time of 8.7 seconds. This is certainly an adequate time for a car in this market segment. You won't be holding up traffic with this sort of a time. 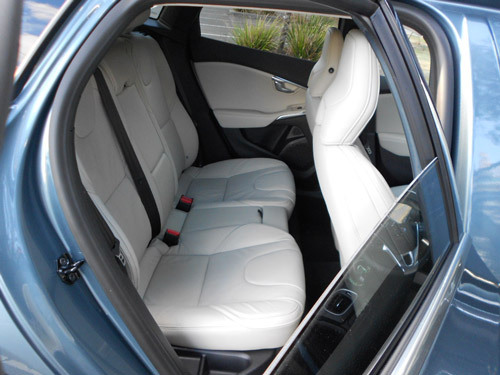 The light coloured interior of the test car was appreciated. Too many cars have the choice of dark, dark or dark for their interior presentations. 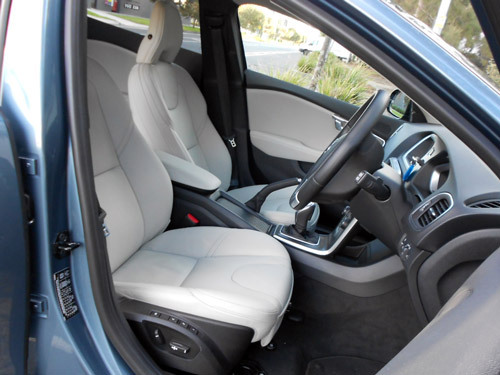 I found the Volvo V40 T4 interior to be quite attractive and always comfortable. The test car was stacked with highly appreciated safety equipment. Whilst Volvo Cars makes things like "City Safety" and "Pedestrian Airbag" technology a new found reality for their new products it is amazing that the cars still remain price competitive. The Volvo V40 T4 test car also featured Dynamic Stability and Traction Control (DSTC); Advanced Stability Control (ASC); Anti-lock Brake System (ABS); Electronic Brake Distribution (EBD), Emergency Brake Assist (EBA) and Emergency Brake Lights with hazard light activation; two-stage driver and front passenger airbags; two full-length Inflatable Curtain airbags; Side Impact Protection System (SIPS) including SIPS airbags in front seats; driver’s knee airbag; Whiplash Protection System (WHIPS); rear parking camera and rain sensing wipers. The test car, as explained earlier, was equipped with additional features that enhanced the safety aspects of this appealing car. The blind spot information system is always appreciated. This feature, in my opinion, has to find its way into more vehicles. It is extremely valuable in assisting drivers recognising the closeness of traffic in adjoining lanes. The combined cycle fuel consumption rating for the 2.0 litre petrol automatic is 7.6 litres/100km. Our average of mostly urban driving was 9.3 litres/100 km. We were happy with that. The fuel tank has the capacity of 62 litres. Premium unleaded (95-98RON) is the recommended petrol for the V40 T4. Emissions of CO2 are rated at 177 grammes per 100 kilometres on the combined cycle. 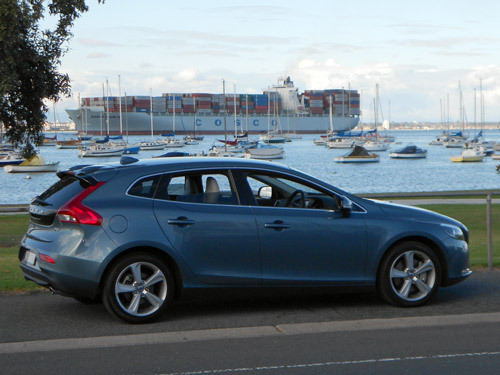 A braked trailer (and its contents) can weigh as much as 1,500kg for towing by a Volvo V40 T4. An unbraked trailer and its load should weigh no more than 700kg. As you would expect, appropriate towing equipment is required. 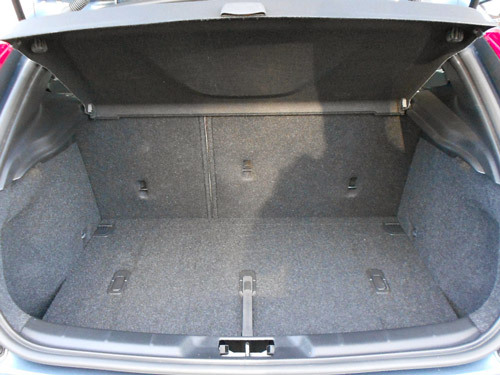 Boot capacity: 320 litres (back seat up). A three year warranty with unlimited kilometres and roadside assistance is included for the Volvo V40 (conditions apply). The warranty, together with the roadside assistance, can be extended for one or two years prior to the expiration of the original warranty (again, conditions apply). It should be noted that the warranty and roadside assistance is not transferable to subsequent owners. Driving the Volvo V40 T4 Luxury makes you realise that a small car can be quite a pleasant experience. The V40 is not only a neat design with various version available at competitive price points, but it excels in safety perspectives. Volvo can, quite rightly, look forward to achieving an improved market share for its small car.